Something Magical is Happening at Liffey Valley. 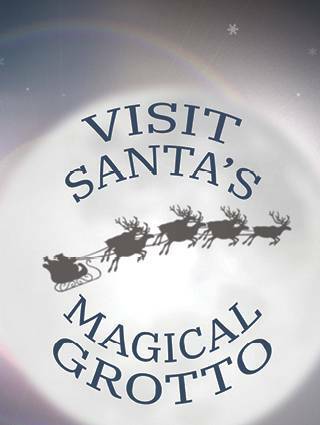 Come and experience a wonderful visit to Santa Claus in his magical Grotto at Liffey Valley Shopping Centre. There is no booking necessary, we operate on a walk-in only basis. So, the next time you are in Liffey Valley Shopping Centre why not make the experience even more magical with a trip to see Santa! 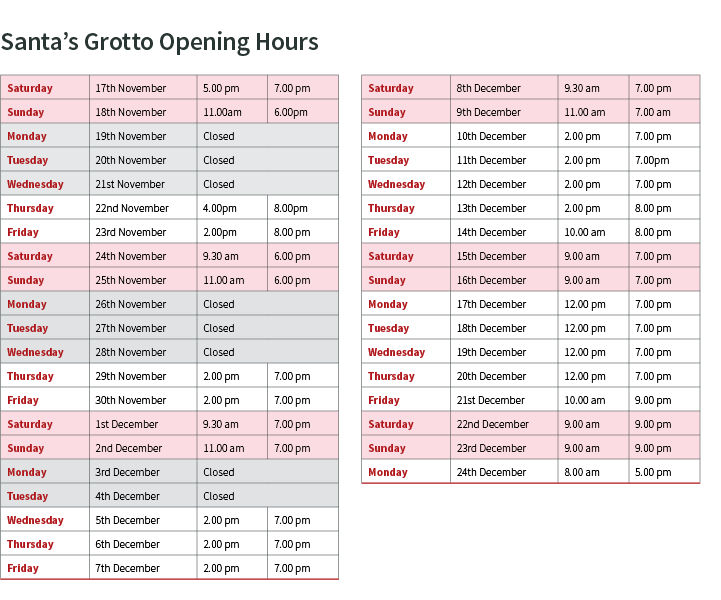 Location: Santa's Grotto is located in the Western Plaza opposite Penneys and the customer service desk. Terms and conditions: Please note for GDPR we have cctv in operation within all areas of the grotto. If you have a child with a disability or needs some extra care please let the elf on the door know so we can do all we can to help make their visit to Santa as magical and memorable for both the child and the adult with them. No use of mobile phones are permitted while visiting Santa. We ask you keep all your belongings with you on your visit to our grotto, as we can not be responsible for your belongings including buggies, shopping trollies, shopping bags ect. For safety we ask that you keep your children with you at all times, and walk as running is not permitted within the grotto. No food or drink is allowed within the grotto. €10 applies to all children from 0 months to 18 years. Only up to two free adults entry per one paying child. Additional adults fee €10. Photo price €5 each or 3 photos for €12, each comes in branded wallet. We operate on a take your place in the queue basis so no bookings required nor can we hold place in the queue. We do ask you that you make time to give us your honest feedback in our ‘’GUEST BOOK’’ at the photo collect desk, this is how we keep our standards moving to keep improving! !